Occupying a coveted corner position at the high end of a peaceful street, this sturdy four bedroom home presents exceptional value for those wanting to secure a piece of substantial real estate in a thriving suburb. 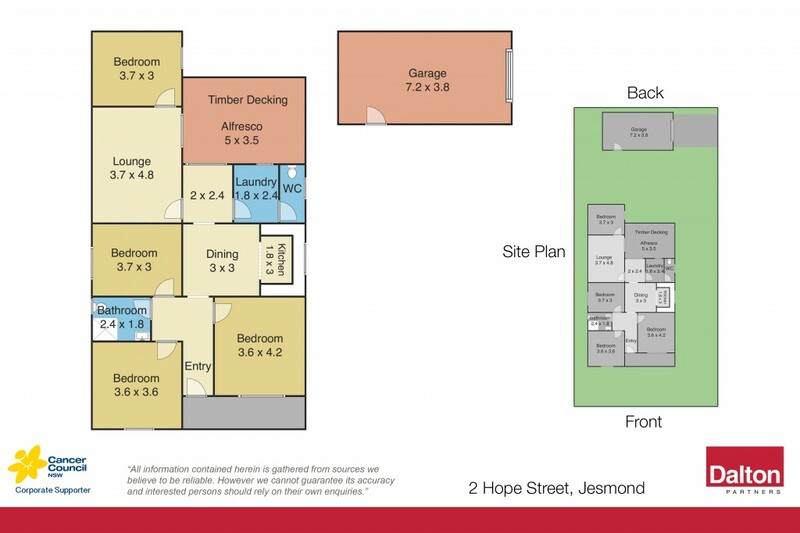 Currently yielding a lucrative return and possibility for a granny flat (STCA) it is located moments away from Callaghan University, Stockland Jesmond, the Mater Hospital and a choice of quality schools, parks and transport. * Corner position on a level sizable 468 sqm block. * Moments away from Callaghan University, Stockland Jesmond and the Mater Hospital. * Instantly appealing to savvy investors and market newcomers. * Four liberally sized bedrooms each separately tenanted. * All bedrooms are appointed with ceiling fans, two have built ins and one enjoys air conditioning. * Light filled kitchen with dishwasher and stainless steel oven. * Kitchen seamlessly flows into versatile dining room. * Stylishly renovated contemporary bathroom at front. * Second bathroom located within the internal laundry at rear. * Generous lounge room with direct access onto a lovely covered alfresco escape. * Single car garage with additional off street parking. * Easy care lawns and garden surrounds.